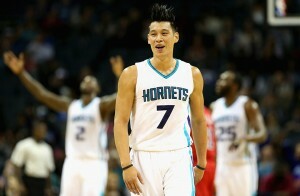 The Charlotte Hornets are truly on a roll! Last night they secured their spot in the 2016 NBA playoffs for just the 10th time in the history after the Chicago Bulls’ loss to the Detroit Pistons. This will also be one of the first times our city has had back-to-back playoff trips. With only seven games left in the regular season, we already have 11 more wins than last season and we’re now on pace to post the second-largest season-over-season win increase in Charlotte NBA history. Our team also tops the NBA for victories since February 1st. We’ve gone 21-6 in that time, the best record in the Eastern Conference and third-best in the nation, marginally trailing Golden State and San Antonio during that stretch. Last month, the Hornets went 13-3, setting a franchise record for the most amount of wins in a single month. The Hornets will start their 2016 NBA Playoff run on Saturday, April 16. Tickets for the playoff games are now available online at ticketnetwork.com or via phone at 1-800-4NBA-TIX.